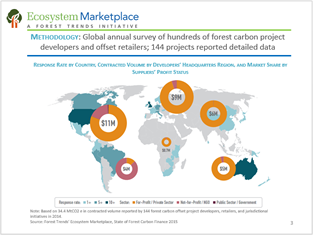 Companies and governments around the world committed US$705 million in new finance in 2014 to enhance the role of forests in combating climate change, according to a report released this week by Forest Trends’ Ecosystem Marketplace, Converging at the Crossroads: State of Forest Carbon Finance in 2015. Over the last decade, private and public sector actors have provided a cumulative $5.1 billion to initiatives that aim to keep threatened forests standing, promote carbon-conscious land management, and plant new trees. 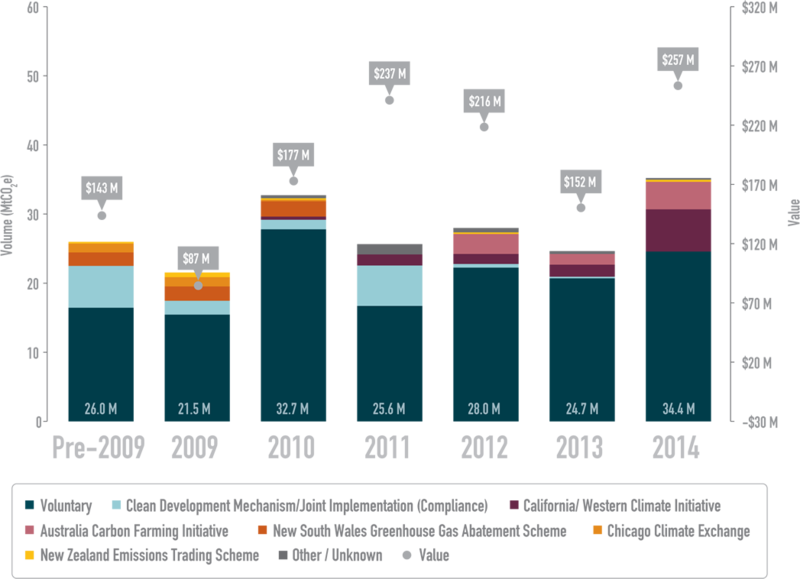 But last year marked the first time that market-based payments for verified emissions reductions – a record-high $257 million for 34.4 million tonnes of offset greenhouse gases – exceeded the $229 million in new “readiness” payments intended to help tropical forest countries build capacity to halt deforestation under the United Nations’ Reducing Emissions from Deforestation and forest Degradation (REDD) mechanism. 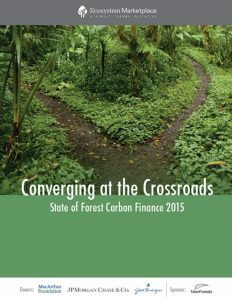 The State of Forest Carbon Finance 2015 is publicly and freely available thanks to support from the report’s Donors: Good Energies Foundation and the John D. and Catherine T. MacArthur Foundation; Sponsor New Forests; and its Supporters: Code REDD, the Kinship Foundation, and South Pole Carbon Asset Management Ltd.